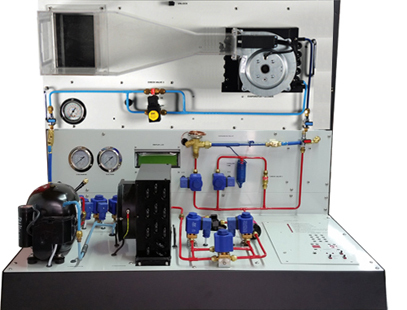 The Air-Conditioning desktop training system is designed to provide students with fundamentals and advanced training program in basic and professional Air-Conditioning technology. The training system introduces various systems and real component. The training system brings a comprehensive view of the entire Air-Conditioning system. Actual components and their interconnection, functions, operation, diagnosis and repair methods under hands-on safe activities are part of the training program and students can perform tests, take measurements, and troubleshoot each system.